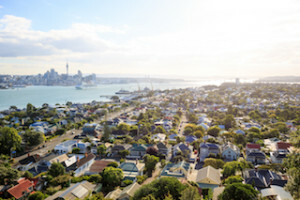 Not only is Auckland the largest urban area in New Zealand, but it is also home to some of the most sought after sights, arts, and education in the country. 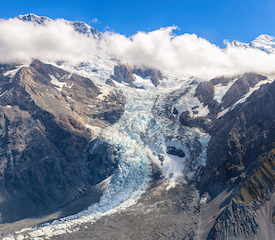 Thanks to ShoreTrips, the supplier sponsor of this article, you will have every opportunity to catch a glimpse of one of the many awe inspiring areas of Auckland. Auckland Harbour Bridge with its lights on, just before dawn. Auckland is a culturally diverse city located on the North Island of New Zealand. It is home to the largest Polynesian population in the world, and stands as quite a culturally diverse city. This culture, paired with the history of the area, makes for a great vacation destination and provides entertainment and excitement for all ages. One of the most distinctive and jaw-dropping sights that Auckland has to offer is the Sky Tower. Over 1,000 feet tall, the Sky Tower has been a staple in the Auckland city-scape and skyline for over 20 years. View it from the ground below, or take a trip up and spot other landmarks and buildings from over 700 feet above the ground! For a little extra thrill, make a reservation at Orbit 360: the Sky Tower’s revolving restaurant. If spinning gets you dizzy, opt for The Sugar Club for a meal instead. Located on the 53rd floor of the Sky Tower, The Sugar Club offers un-moving views and a flavor-packed seasonal menu. And for the daredevils in your group, don’t miss a chance to leap off the Sky Tower! Dropping 630 feet straight down makes for an absolutely unforgettable experience. For just as much thrill with a little less fear, spend a day at Rainbow’s End. Located in Manukau, Auckland, this theme park has rides and attractions for all kinds of adventurers and holds its own as the largest theme park in New Zealand. With flume rides, corkscrew coasters, and a kiddie area, Rainbow’s End stays ahead of the curve. If you can, catch an art event or concert at Aotea Square, a large outdoor space. Sometimes there are even outdoor markets, where you can browse tables of local goods, produce, and art. There are even sculptures surrounding the area. Auckland Botanical Gardens is a relaxing way to spend an afternoon on a visit to the area. The idea for this botanical gardens spans all the way back to 1926, though it did not officially open to the public until 1982. Home to over 10,000 plants, Auckland Botanical Gardens has many different collections of value like the The Threatened Native Plant Collection, for example. Opened in 2001 this collection contains native plants of New Zealand that are rare or endangered, like the Three Kings Vine, also known as Tecomanthe speciosa that was discovered on Three Kings Island in New Zealand. If you are looking for something a little more involved at Auckland Botanical Gardens, take a hike down the Native Forest Trail. This path leads through a broadleaf forest remnants, though the area is regenerating and currently contains over 150 species total. Take a peek at the complete database of the collections and plants located in the gardens at the visitor’s center, where you can also grab a snack from the cafe or check out the information displays. There is no better way to spend a spectacular day in Auckland than enjoying the outdoors at Cornwall Park. Dubbed the oasis at the heart of Auckland, this expansive park celebrates the city. Pack a picnic lunch for the whole family, take a bike ride through the park’s grounds, or go birdwatching; the options for activities in Cornwall Park are endless! Gaze upon the ewes and lambs that roam the property, or catch a band playing at the park’s rotunda. Another historic and beautiful park located in Auckland is the Auckland Domain. It is the oldest park in Auckland, and also one of the largest in the city. One thing that makes this park so unique is that it contains the explosion crater and the majority of the surrounding tuff ring of the Pukekawa volcano. The land itself evolved from a lava lake to a swamp, where it was then drained to become park land. Stroll through the park and see the duck ponds, or catch a local game at one of the many sports fields located in the park. Another popular feature of Auckland Domain is The Auckland War Memorial Museum, which is located on the property. It is one of New Zealand’s most important museums and war memorials, and the collection focuses on the history of the Auckland region, as well as the military history and the natural history. The building itself is one of the most recognizable, nearly iconic, in Auckland. Constructed in the neoclassical style, the building actually sits on the remnants of the volcano itself! 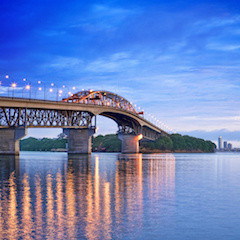 The Auckland Harbour Bridge is another of Auckland’s most identifiable structures, and has shaped the skyline of Auckland since it was built. Recently, a bike and cycle path project was approved, so it will not be long before you can take a leisurely ride over the bridge and gaze out onto the harbour. If you are feeling a little more daring, you can even bungee jump from the bridge or even climb it. This is another way to get to see the spectacular views of the surrounding area to the Auckland Harbour Bridge and the harbour itself. For more outdoor water fun, take a trip to Kitekite Falls. A three-tiered waterfall that drops 130 ft. this natural beauty is definitely something to see on a trip to Auckland. The falls flow over pools of rocks which actually make it appear an even further drop from the top of the falls. Take a dip in the swimming hole or take in the views seated at the macrocarpa bench from a lookout along the path to the falls. If you are looking to experience the hustle and bustle of Auckland, be sure not to leave without visiting Queen Street. The street itself was an early development of Auckland, dating back to the city’s founding. Queen Street has also been the site for many cultural events, including those related to politics and sporting events, and is home to many flagship locations for popular stores in the area. At the waterfront end of Queen Street you can view some of the most significant buildings of the area, like the Auckland Ferry building which was built in 1911 in the Baroque style and composed of brick and sandstone. Auckland, New Zealand may be home to excellent architecture and beautiful outdoor spaces, but it also has a food scene worth tasting! You can find all different styles of cuisine, from American to Italian to French. Saan, a northern Thai restaurant, serves up bold flavor combinations from family recipes, incorporating traditional techniques. With locally sourced ingredients and a laid back atmosphere, Saan is a great place to grab a meal. Coco’s Cantina serves up hearty and homey meals, like slow roasted pork belly and spaghetti and meatballs. With a varying menu that includes something for everyone, it is a great place to take the whole family. If farm to table is something you seek out in your dining options, look no further than Ortolana. Their focus on the farm to table aspect of their ingredients paired with the indoor-outdoor flow of the restaurant draws in quite a crowd. The delicate seasonal dishes, almost too eye-catching to eat, are packed with flavor and are sure to leave you pleased. 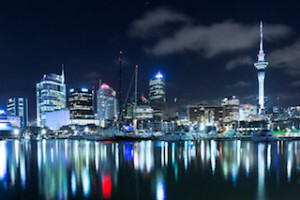 Auckland, New Zealand offers culture and excitement alike, so do not hold off visiting any longer! ShoreTrips can have of your tour needs covered so inquire today.